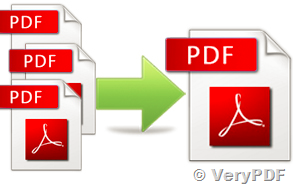 ← Need support on how to split single pdf into multiple files. How to extract page ranges from PDF file to new PDF files? I am thinking about buying PDF Merger for Mac but I'm not sure it will do what I want. Basically does PDF Merger have a command line or support a "plan" file? More specifically, I have a number of PDF files that need to be merged into one new PDF file. The sequence of pages in the new PDF is not linear -- for example, it might be page 1 from file A, the page 1 from file B, then page 2 from A, then page 7 from C, etc. I can describe the whole sequence, but I need to be able to do the same merge multiple times after the source PDF files change. I will go nuts if I have to do the sequence in the GUI and I can't possibly do it without error if I have to re-specify the sequence each time -- it is >200 pages long from about 10 files and complicated. Can I do this with a command line or a "plan" file? Also, I need to add page numbers at the end. I own Adobe Acrobat so I can use that to do it, but it would be convenient if there was a command line tool. Do any of your products support that? The Windows version of PDF Split-Merge Command Line software does support this "plan" file, but PDF Merger for Mac hasn't this function yet. We hoping PDF Split-Merge Command Line for Windows will solve this problem to you, you may download it to try. This entry was posted in PDF Split-Merge and tagged pdf merge, PDF Merger, PDF Split-Merge. Bookmark the permalink.